Apartment in Kaprun is the first choice for many people who decide to purchase a rental or standard property in Austria. The region of Kaprun / Zell am See offers it all - glacier, mountains, lakes. In addition to the breathtaking nature, it also offers the typical Austrian hospitability, high-quality services and wide range of cultural and social opportunities. Another advantage is that it is not only a winter resort. Kaprun and its surroundings offer a large variety of possibilities throughout the whole year. Unlike for example Schladming, which is one of the exclusive destinations, Kaprun offers a whole range of properties in all price ranges. Prices of older apartments start at approximately 60,000 euro. New apartments for sale cost approximately 120,000 euro. You can choose from more modest apartments and apartments suitable for young family or couples without children, or from more exclusive properties meeting higher expectations. Older houses in Kaprun for sale can be purchased for approximately 200,000 euro. 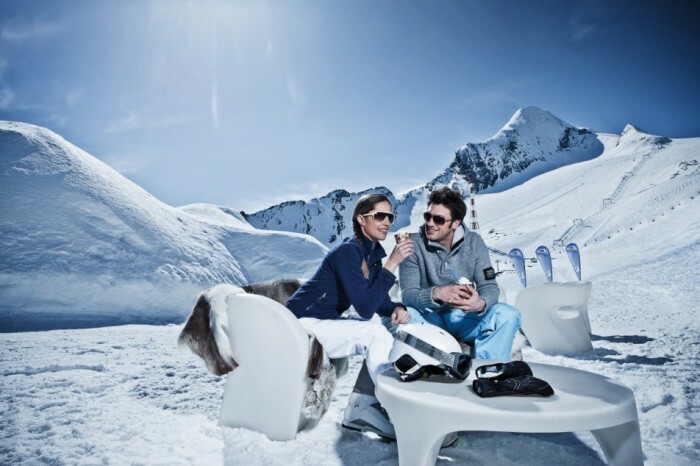 A substantial number of real properties in the Austria Alp resorts belong to the category of recreational properties intended for further renting. In practice this means that the owner uses the property for a selected part of the year and then rents it out the rest of the time. All services related to the renting are provided by specialized agencies and the property owner doesn't have to worry about anything. Rental incomes can reach up to 8 %. VAT deduction applies to the purchase of a new property intended for leasing. New apartments with size from 31.66 m2 to 105.16 m2 located only 500 meters from the center of Kaprun. All apartments have a balcony, parking place and cellar. Residents of the complex can use the wellness center with sauna, fitness and infrared booth. Apartments are intended for own use in combination with leasing. Apartments with size from 44.33 m2 to 110.49 m2 are part of a residential complex built in 2008. The complex is located only 250 m from the ski lift. A skibus stop is situated right in front of the house and the skibus takes skiers up to the Kitzesteinhorn iceberg in only few minutes. Cosy restaurants and shops are also located nearby. All apartments have a parking place in the underground garage. The apartments are intended exclusively for the combination of use and lease, which will be provided by a specialized agency. Exclusive, fully furnished, attic apartment in an excellent location. The well-maintained apartment is located in the highest floor of an apartment house built in 2005. The equipment includes parquet floor, modern bathroom, floor heating, furniture and door made of solid wood. The apartment with a size of 112 square meters can also be easily divided into two separate apartment units. The apartment also has a balcony facing towards the south-east. Traditional alpine chalet with a beautiful view of the iceberg and surrounding mountains offers enough space to accommodate two or three families. All necessary services are located within walking distance and the ski-bus stop is located only 50 meters from the house. Chalet is an ideal option for those who prefer absolute privacy without limitations of hotels and pensions. BBQ in the garden. Are you interested in buying a real property in Kaprun or in the area? Contact us. More information about Kaprun/Zell am See.